In 2016 YoYoFactory went on a mission exploring Lost Civilizations and discovering YoYo Culture all around the world. The lure of Petra, The beauty of the dessert and the wonder of the Dead Sea paled in comparison to the hospitality of a dedicated crew of YoYo players we met there. Video by SLUSNY. YoYoFactory really knows how to pick a destination. Check out this video from their recent YoYoFactory Adventure trip to Jordan to explore more beautiful scenery and check out another international yoyo scene. Featuring Ann Connolly, Gentry Stein, Eric Koloski, Igor Galiev, Ben McPhee, and Vashek Kroutil. In 2016 YoYoFactory went on a mission exploring Lost Civilizations and discovering YoYo Culture all around the world. The lure of Petra, the beauty of the desert and the wonder of the Dead Sea paled in comparison to the hospitality of a dedicated crew of YoYo players we met there. Video by SLUSNY. One of the most well known faces in the yoyo community, as well as charming smile, is Augie Fash. As many of you know, Augie works for Duncan Toys and they have partnered up to send some true Duncan love to the Koloski family. Do you know Eric Køløski? If you don’t, you should. Eric is one of the greatest guys I know. Eric and I go back about 10 years. Even though he’s got multiple jobs and a mountain of responsibilities, he still finds time to teach kids, to volunteer his time, and to help keep this yo-yo community going. He’s got a big heart and has shown a lot of love to the yo-yo world over the years. I’m hoping we can do the same for him in return. To make a long story short, Eric’s mom has run into severe health problems. She could really use our help. As many of you know, I work for Duncan Toys. In the back of the Duncan warehouse is a small room known as “the cage”. The cage is an archive of rare Duncan products and prototypes. Duncan has agreed to open up the cage and sell some of the items, with ONE HUNDRED PERCENT of the proceeds going to Eric’s family. Augie will be updating the website over the course of the next few weeks with even more rarities, so be on the look out. Big props to both Augie and Duncan Toys for doing this. Steve and Teri Koloski are two of the most wonderful human beings I’ve ever met. They love their kids fiercely, and have been some of the most dedicated and reliable supporters of the yoyo community you could imagine for the past two decades. If you’ve ever seen Eric Koloski shredding on stage at a yoyo contest, you can thank his parents for making sure that he was loved, supported, and made it to every single contest they could get him to. They have spent untold hours volunteering their time at yoyo events for as long as I’ve been around, running registration and scoring, and helping in every way they possibly could. They’ve done as much for yoyoing as Eric himself, and that’s saying a lot. Teri Koloski, the caring mother of Eric and Kyle, has run into some health issues. Her husband Steve is balancing two jobs with care taking, and they need extra assistance in their home to help Teri. It is no longer an option or safe for her to stay home alone. Every little bit helps. Please send something their way if you can, and if you can’t then please just share this so that maybe someone else can. Thank you. Adam Brewster from CLYW documented his road trip with Alec Campbell and Bryce Benton to the 2014 Triple Crown of YoYo in Chicago, and dropped a 12-minute video recap of the event. Featuring Adam Brewster, Alec Campbell, Michael Ferdico, Colin Beckford, Eric Koloski, and more. 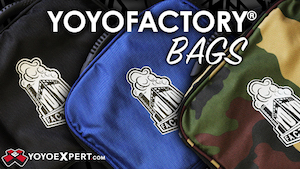 YoYoFactory has released their first team team featuring their newest employee, Eric Koloski! 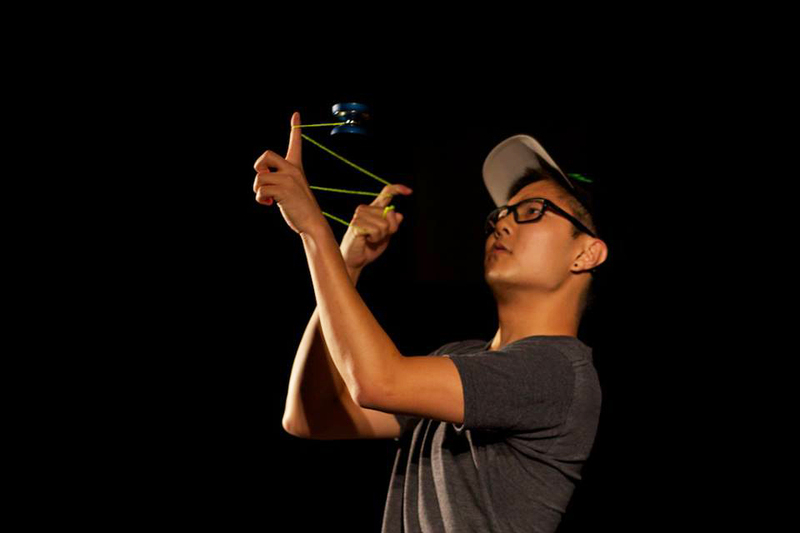 Eric is a great player and demonstrator, and should be an excellent all-around addition to YoYoFactory. Yoyo used is the Superstar by YoYoFactory. Wow! 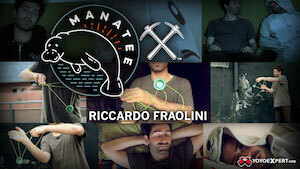 This is a huge add for the YoYoFactory Contest Team…congratulations to Eric and YoYoFactory! I’ve known Eric and his family for a long time, and Eric is a fantastic player, demonstrator, and person. Check out YoYoFactory’s official statement below. 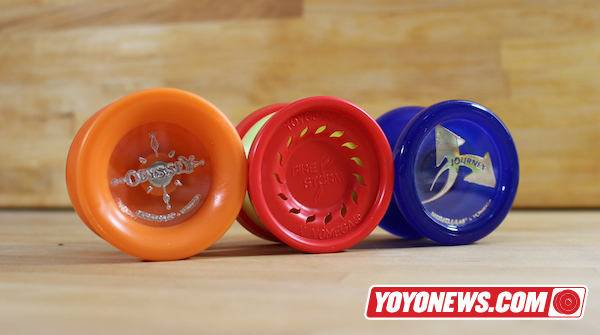 In 2003, YoYoFactory released its first yo-yo: the FAST 201. The first day release happened simultaneously in Arizona and at the US National YoYo Contest. I remember the day pretty vividly, it was a big deal. I can remember explaining the new yo-yo and the concept behind the company to one of the National YoYo Masters who was shopping for a souvenir yoyo for the contest. He politely put the yoyo down and bought something else. It was a disheartening moment until this little kid who had overheard the explanation asked to take a look at it and bought the yo-yo. That kid went on to win that contest four years later and here, a decade on, we are proud to announce he is joining our team. Welcome to YoYoFactory, Eric Koloski. This is a bittersweet day for Team YoYoJam. 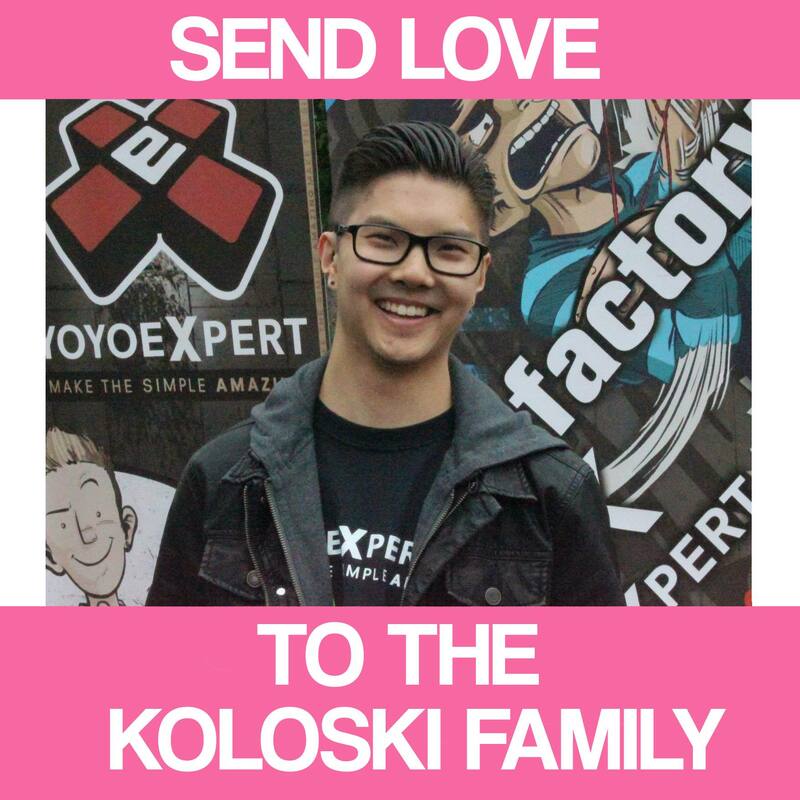 Eric Koloski will be retiring from the YoYoJam Pro Team to take a salaried position with YoYoFactory. This move allows Eric to pursue his goal of working in the yo-yo industry as a full time profession. We wish we had a position for him within our corporate structure, but unfortunately we do not at this time. While we are sad to see Eric leave, we are happy for this opportunity for him and we wish Eric the best of luck in the pursuit of his new career. We are pleased to announce that Eric will continue his long-time association with YoYoJam through our Legends. We will also continue to produce his Signature Series Diamondback yo-yo. Watch for more updates to the YoYoJam Legends coming soon! Clint Armstrong, Michael Kurti, and Eric Koloski throw down some gems in this new video, Denny’s Sessions. Looks like it was filmed at the Denny’s in Chico during US Nationals…but now that I’ve said that, it’ll turn out to have been filmed somewhere else. Hard to tell with Denny’s…they all look the same.